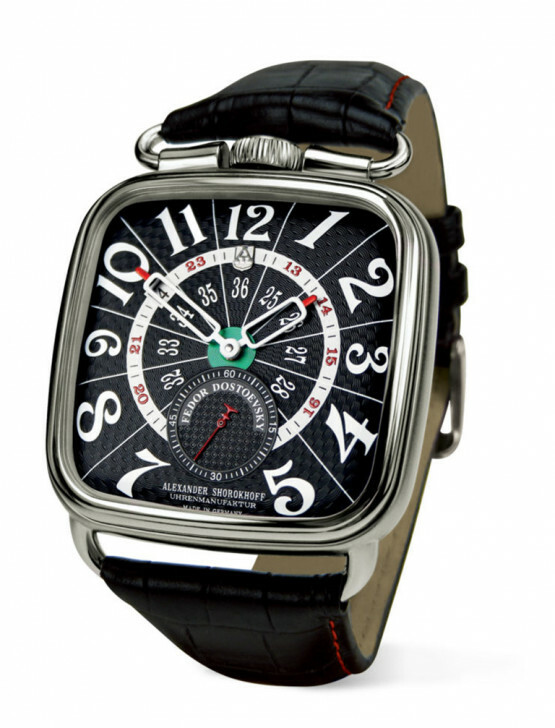 For this watch series, the manual winding caliber “3105.AS” is used. This movement is disassembled and refurbished at the “Alexander-Shorokhoff” watch manufacture. The bridges are engraved, gears are polished or guilloched and screws are blued. Last but not least, all components are carefully reassembled and appear in their perfectly crafted beauty. Next to the “12” is a perfectly fitting flexible strap lug for the croc leather band, that is supposed to be reminiscent of the bygone era of the 19th century. This is also where the crown is situated, which ensures a harmonious-symmetrical ensemble. 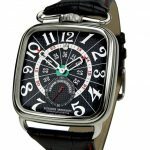 Particular attention rests on the back of the watch. 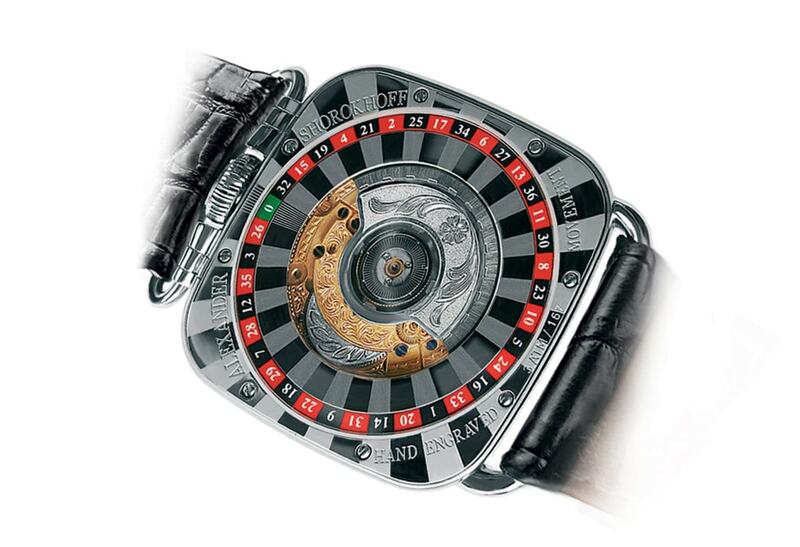 The intricately engraved card game symbols, as well as the roulette ring, conforms perfectly to the theme and harmoniously rounds off the model’s overall appearance.